Leidos has established a new program that aims to advance innovation, build up program performance and facilitate the delivery of technology platforms designed to meet clients’ mission needs with the use of the company’s supplier base. The company said Wednesday the Leidos Alliance Partner Network consists of corporate strategic, technology alliance and emerging technology partners. “The Leidos Alliance brings together our key suppliers to forge a new avenue to achieve technological milestones and efficiencies that support our current and future customers,” said Bob Gemmill, vice president of strategic sourcing at Leidos. 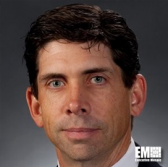 Dell EMC has been named a corporate strategic partner, a company that has technical capabilities and a well-established collaboration with Leidos. Leidos also selected Amazon Web Services, Cisco, Hewlett Packard Enterprise, Juniper Networks, McAfee and NetApp as technology alliance partners or close corporate allies with recognized experience. Leidos said the emerging technology partners are “known associates with significant interest from the organization” and will be revealed at a later date.